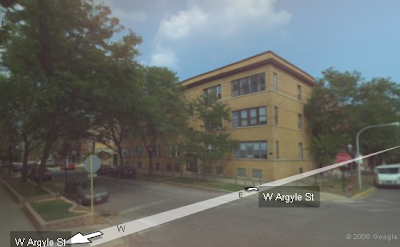 Apartment building at the northeast corner of Argyle and Glenwood. It looks like at some point the porches were enclosed. Top image courtesy John Chuckman. Bottom image courtesy Google Street Views. My parents owned this building and the one across the street back in the 70s. A lot of work involved in keeping it up. Adgorn--I missed your comment on this. Do you have any vintage images of the building?